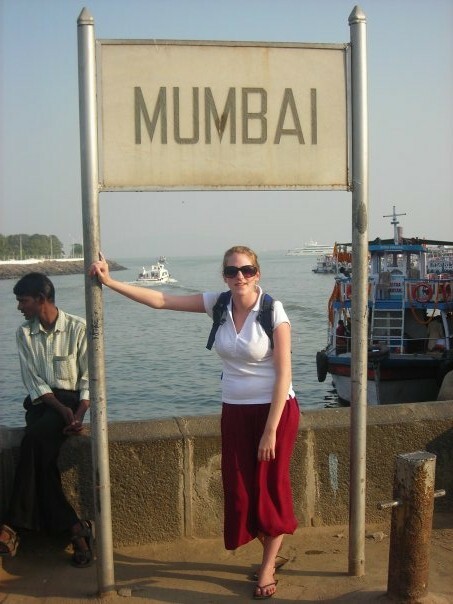 I had never seen a dead body before, but, that night we strolled around Mumbai – I’m pretty sure I did. We could only get tickets to a midnight showing of a bollywood film, we had over three hours to kill. Strolling from market stall to market stall we stopped for coffee and soaked up the atmosphere. We stood for the national anthem, didn’t understand a single word, and then left the cinema around 2am. Mumbai was a very different place at that time. It was so scary in fact, we felt safer walking rather than getting a taxi. It was a long walk back, but a very straight road. It was the same road we had laughed along and explored only a few hours before. Yet under the shield of darkness a blanket of poverty had covered the street. People lay on the floor, curled in a sheet or squeezed close together for warmth. We tip toed through the sleeping lions, terrified of waking them and hearing their roar. I am unsure as to whether it is a skill to sleep on the pavement without stirring, or if the motionless sleep was one from which you never awoke. I remember walking through Delhi, it was so early there was no sunlight yet. Just that eerie light that seems to come from nowhere. It seems to creep up on you and before you’ve walked very far you can see it is getting lighter – and eventually the sun rises. I could see my breath. It only added to the magic. I was terrified. Holding my bag close I hoped the day would be worth while. It was so early I needn’t have worried for my safety – even the tuk tuk drivers were still asleep. We cautiously knocked on the window and a very sleepy man jolted awake. Happy for business it was only a matter of seconds before we were on our way. The day we travelled to the Taj Mahal. I’ll never forget it. If you are scared you know its going to be a memorable day, if you are scared you will be more aware. If you are scared you will learn from the adventure, it will make you stronger. Where we were staying was like a gate to a level of hell. The entrance to the street was just about as wide as a car. An old worn rusty metal chair was placed next to a vintage metal detector. I’m not even sure it was working. An armed guard or policeman or solider manned this metal detector and, I couldn’t decided if I was relived that it was there or terrified by the idea of its necessity. Welcome to Delhi. Our search along the road was exhausting and time consuming. We entered numerous guesthouses and enquired about prices and checked lots of different rooms. Ranging from mattress’s on the floor to precariously built and downright dirty. Eventually we stumbled upon our haven. A friendly man greeted us, with a great price, a cafe and Internet we were satisfied. The hunt had been worth it. After throwing our bags down and locking the door we were in search of food. As we locked our room and walked down the stairs we noticed a sign, “no weapons ,guns or narcotics allowed in rooms”. Welcome to Dehli. Next Post Find A Way – The Man in The Arena.